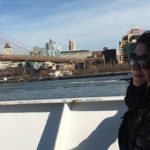 My wife and I boarded the Nautical Empress at Pier 36 on the eastside of Manhattan around 12:45 Saturday morning. The boat itself was nothing extraordinary. Two indoor floors, one rooftop deck, a DJ table and carpeting from the 1980’s. Nothing spectacular. 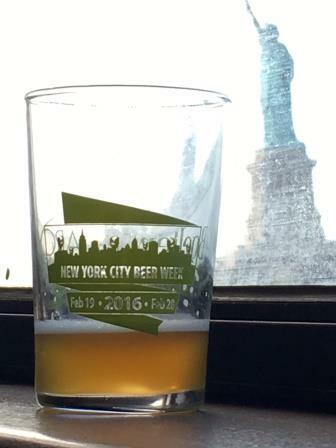 When we boarded, we were each handed a small commemorative NYC Beer Week tasting glass and a wooden token to exchange for the light fare provided on board. 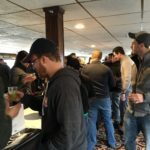 The head brewer of both Kelso and Heartland Breweries (and the president of the New York City Brewers Guild), Kelly Taylor, kicked off the party, thanking everyone for attending and mentioning that this beer cruise was the only of it’s kind in New York City. In fact, the only other one he knew of was hosted years ago in my hometown of Cincinnati. His message was a simple one, enjoy the beer and celebrate the start of NYC Beer Week. So we were ready to begin. 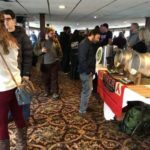 There were six tables on the top floor and nine on the lower floor, each table having 2-3 breweries dispensing their samples. Some of the breweries had basic keg and tap systems, others brought cans and bottles, but all of them had several options to choose from. Between the two of us, we had at least one beer from each of the breweries present. We quickly learned that we preferred to be on the lower of the two floors. (The upper floor seemed to be more subject to the tossing of the waves, and we felt more stable being closer to the water on the lower floor.) This proved especially true as the day went on and more beer found it’s way into my belly. 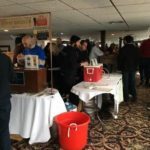 My favorite part of the event, other than drinking great beer, was being able to engage the brewers in-person to talk about their brewing techniques, their brewing history, general beer likes and dislikes and popular industry trends. 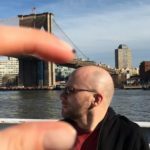 Being able to speak to the person who actually “makes” the beer is something that most of us don’t get to do very often, whether visiting a larger brewery or a small batch microbrew. 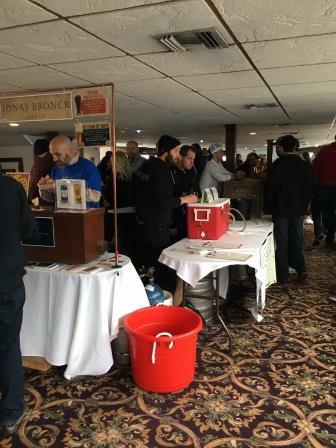 Most of the tables were manned by either the brewers themselves or knowledgeable employees eager to share information about their beers. The one exception was Queens Brewery. I wasn’t familiar with this brewery and when I asked where it was located, the employee of the distributor let us know that she was not familiar with the brewery itself, which is not what I would expect from this type of event. Although all the breweries served really good beer, there were a number of them that stood out from the rest. Big Alice Brewery is one that I’ve been to a number of times outside of this event and really enjoy visiting. 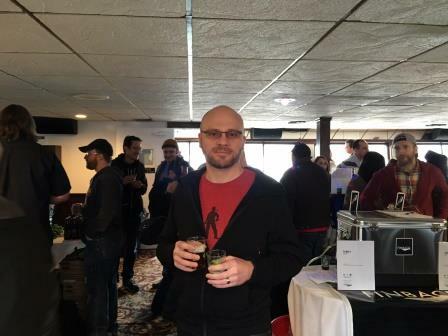 The head brewer, Kyle Hurst, is always at the brewery and attends events that feature his beer and today was no exception. He was there discussing his unusual flavor combinations and promoting his brewing style. Big Alice is known for their creative concoctions, and the samples today did not disappoint. Although peppermint is not normally a flavor commonly associated with beer, when it is paired with a dark and rich stout, it suddenly becomes Christmas in February for the taste buds. The Sweet Potato Farmhouse Ale was also a nice twist on a traditional farmhouse style. 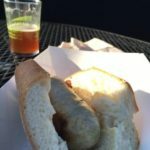 This unique approach of unusual ingredients is a big reason they won last years favorite brewer award for NYC Beer Week. Another interesting alternative to some of the more standard beers available came from the Jonas Bronck Brewery out of the Bronx. They offered a NY Chocolate Egg Cream Stout, which has strong ties to an old NY favorite. For those not familiar, the chocolate egg cream is a traditional drink associated with the soda fountain shops of yesteryear. This brewer was even smart enough to brew with the almost extinct Fox’s U-Bet Chocolate sauce that is associated with these old fashioned sodas. 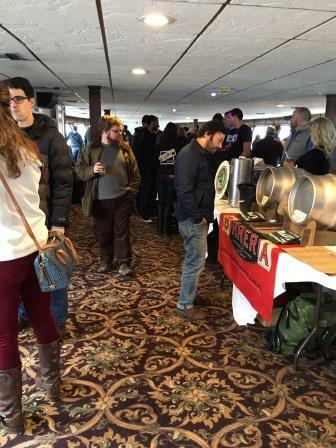 My favorite conversation was with the head brewer of the Bridge & Tunnel Brewery, Rich Castagna. 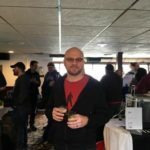 He was passionate about both his brewery that he built on his own (with reclaimed dairy tanks, wood and other found items), and the beer recipes he has created. (Check out more about his beers and see his passion here). My favorite beer of the day was his 1642 Mespeatches Ale. It may not be a session beer, but I really enjoyed the unique flavors and the interesting backstory that lead to its creation. 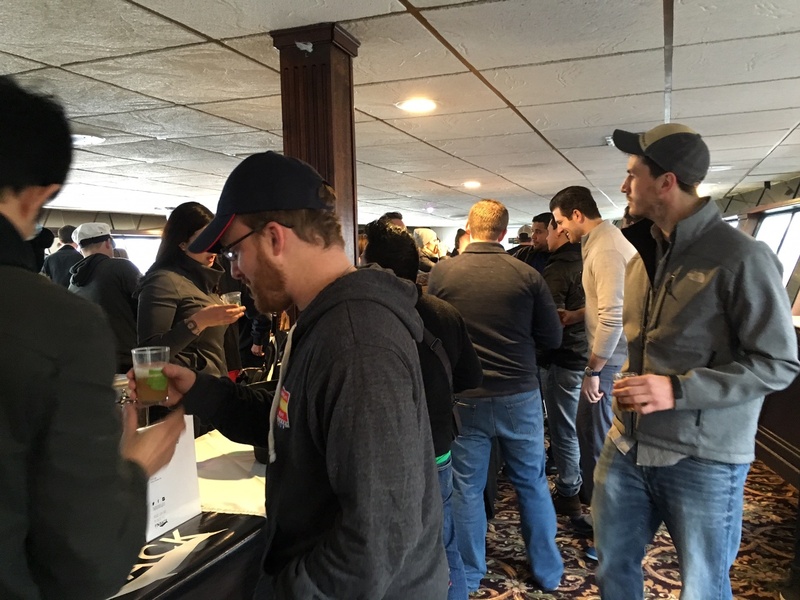 This is a perfect example of what I hoped to get from the day, and what makes an event like this worth any beer lover’s time. Some breweries brought gift bags with koozies and stickers and other assorted souvenirs. A number of them used this event to serve their S.M.A.S.H. beer. Each brewery was encouraged to brew a beer using a specific set of NY grown ingredients, with no restrictions on style. Some were better than others, but nothing really stood out from the pack. I did expect to see a lot of sours or other trends being pushed, but mostly saw IPA’s as the standard offering. This was a relief to me as I am a true hop head and most of the new trends haven’t caught on with my palate yet. 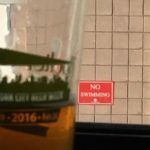 I learned a few things in speaking to the brewers. Number one, this trend of new breweries is truly just that, most of them have been open about 2-3 years. Two, old stainless steel dairy tanks can be converted into high quality beer tanks, just ask Rich. 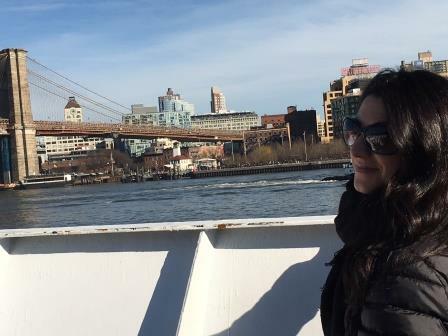 We were on the boat for about 3 hours in total, a journey up and down the East River, offering views of the New York City Skyline and The Statue of Liberty. We were fortunate to have a much nicer day than we should have for this time of year with temperatures in the mid 50’s, which allowed us to enjoy the rooftop deck for the latter half of the cruise as well as drink a little more than expected… well at least more than my wife had expected. Thankfully they had food, which was actually pretty good, and it served to soak up the gallons of beer I had consumed while taking in the sights and chatting with the brewers. 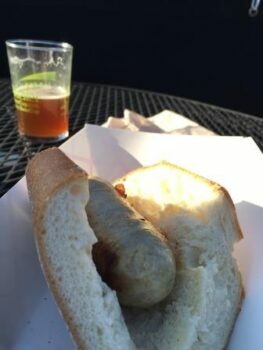 We had BBQ from the excellently titled “Beast of Bourbon” and pork sausage from Jakes Handcrafted, which was stuffed like a Cuban sandwich. Really, the only glaring downside of the day was the clean water supply on the boat was apparently out of order for the majority of the trip. This really made us wish that we had brought our hand sanitizers, a lesson we won’t forget for the next cruise we take, whether it is a beer tasting cruise or not. 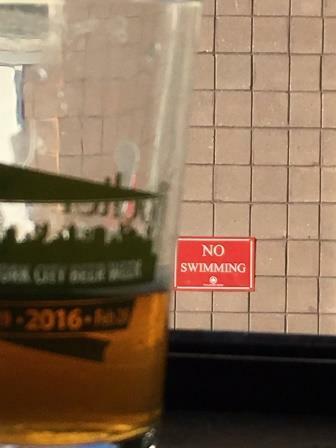 All in all though, I think the beer cruise was a great idea to kick off the rest of the events for beer week. Even a casual beer aficionado can appreciate taking a trip like this and enjoying a wide variety of beer in a casual setting with the people who actually made what they are drinking. Born and raised in Cincinnati, Chuck’s love for craft beer, quality spirits, and fine foods have evolved as he has moved from city to city. From Cincinnati, he ventured north and found himself in Chicago, drinking local brews and seeking unique cocktails as the industry itself underwent a transition of its own. 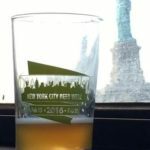 Six years later, the Big Apple came calling with a revolution of microbreweries popping up on every corner. The revival in distilleries also peaked Chuck’s interests as the prohibition era laws came off the books and local, small batch distilleries became legal in NYC once again. 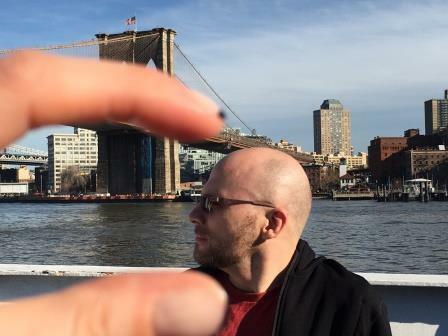 Combine New York’s ever-strong culinary options, the burgeoning craft beer & spirits scene with Chuck’s new interest in home brewing, and it becomes the perfect playground for unique experiences involving some of his favorite passions. He currently resides in Astoria NY with his wife, Jen, and dog, Eleanor.